Rubén Martínez on the politics of hope in Los Angeles and Mexico City. I grew up in Los Angeles, but my family’s far-flung roots instilled in me the idea that I had the birthright to live in more than one place at a time. My mother emigrated from El Salvador to California in the late 1950s. My father was born an Angeleno but spent his formative years bouncing between Los Angeles and Mexico City. As a child and as a young adult, I traveled on a north-south axis between Los Angeles, Mexico City, and San Salvador. At one point I told friends I was living in all three places, but of course that was untenable. After a while, I contented myself with shuttling between Mexico City and LA. My father’s tales of his days in “el DF” (Distrito Federal, akin to District of Columbia) were enthralling to me when I was growing up. The family legend is that he, an adolescent at the time, walked wild enough on the streets to get kicked out of school. My father lived with his parents in an apartment in the heart of Colonia Roma, a much-storied bohemian district with classy Belle Époque and Deco architecture. It has proven captivating to generations of expats, including William Burroughs and several of his Beat friends, who lived there at precisely the same time my family did. I like to imagine my father, a tall, pudgy kid with slicked back hair, strolling down Álvaro Obregón, the neighborhood’s main drag, rowdy with his friends, while Burroughs and Kerouac floated by, high and drunk. Stirred on by these romantic notions and my own adventures in the city, el DF and I have had quite the affair over nearly three decades. There have been some long separations (the longest lasted nearly seven years), but right now we’re close—as is the relationship between my two cities, whose histories have been intricately braided over the last century. Migration has made LA a palpably Mexican place that gazes southward, while el DF has been avidly following northern popular trends for generations. They certainly share some difficulties: chronic traffic congestion, pollution, a transportation infrastructure that fails to make their far-flung geographies easily navigable. The differences are complementary, too. Los Angeles gives Mexico City, a place that can feel yoked by history, a sense of the future through an eternal pop present. And el DF provides LA, the pastless paradise, historical depth. Migration is movement through time and space, a perpetual becoming that is both a fleeing from and reverence for the past, and it’s a force that transforms the point of origin as much as of arrival. 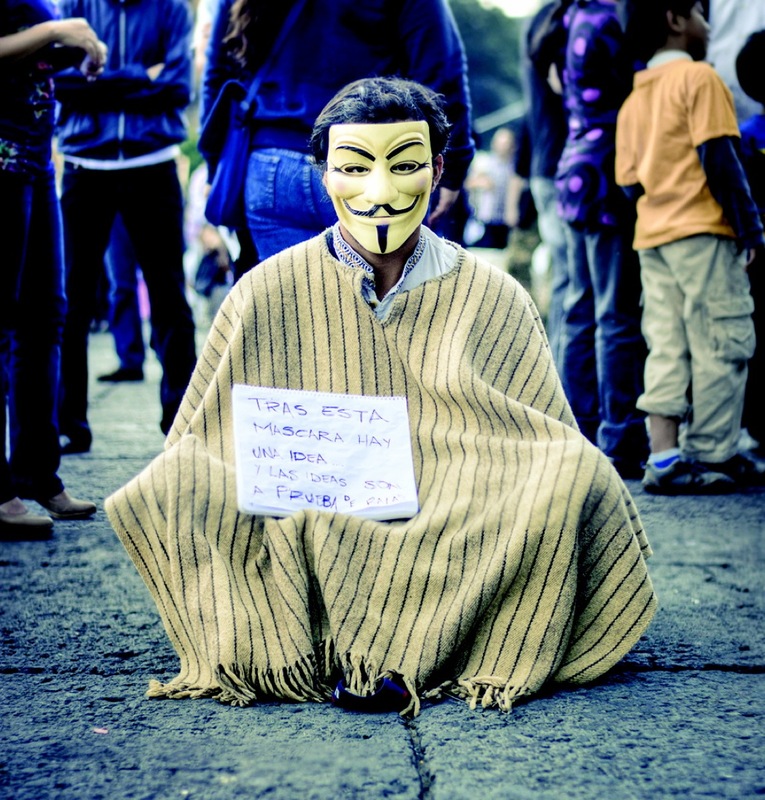 Protester in el DF. PHOTOGRAPH BY CARLOS ADAMPOL GALINDO. There is also a fluid communication in art and youth styles. A year ago, our friends José Luis Paredes Pacho and his partner Graciela Kasep took my family to see ¿Neomexicanismos? at the Museo de Arte Moderno, where Graciela is a curator. The exhibit featured several artists who had worked and lived between LA and el DF; it included multimedia artist Rubén Ortíz-Torres and “performancero” Guillermo Gómez-Peña, both of whom happen to be chilangos (Mexico City natives) who became obsessed with Chicano culture in Los Angeles even as Chicanos, like me, were heading in droves to Mexico City, climbing the Pyramid of the Sun to authenticate our identities. The exhibit underscored that Mexican identity increasingly has been shaped not in the center but on the periphery—that is, not in Mexico City, but on the border that Mexico shares with the United States and beyond it, “México de afuera” (as Douglas Monroy and other scholars call it), “Mexico outside,” a vertiginous dialectic of movement and constant hybridizing. 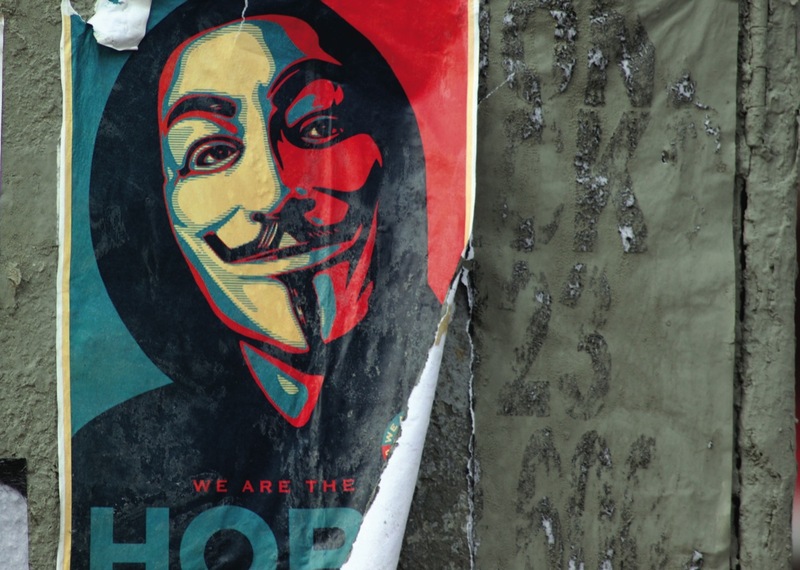 Poster in Los Angeles. PHOTOGRAPH BY STEFAN KLOO. The roots of the process go back decades. In the 1940s, Mexican American youth imitated and transformed American gangster styles, becoming “pachucos” (later “cholos”), who soon enough appeared in the border towns and, through reverse migrant currents, wound up on the streets of el DF, which is Mexico’s own Hollywood producer of its celluloid imagination. It was only a matter of time before icons of Mexican cinema, like Tin Tan, were popularizing “pocho” (bilingual) slang—a representation that would eventually make its way back across the border to flash on the screens of the Mexican theaters of LA. The crises and opportunities of the global moment we live in reverberate loudly both north and south. Needless to say, the drug war profoundly unites my cities, sometimes in rather surreal fashion. Although in LA I can walk into a dispensary and be presented with a menu of designer marijuana, I know that much of the immigrant population in the immediate vicinity is traumatized by the violence across the border that results from, among other things, the massive, repressive, and corrupt machinery of prohibition. On the other hand, I’ve witnessed the politics of hope in both places. A little over half a year after I toured Solidarity Park, Occupy LA’s encampment on the steps of City Hall, I stood beneath the great arches of the “Monumento de la Revolución” in el DF as students pitched tents and began holding nightly general assemblies, all part of the burgeoning #YoSoy132 student movement. 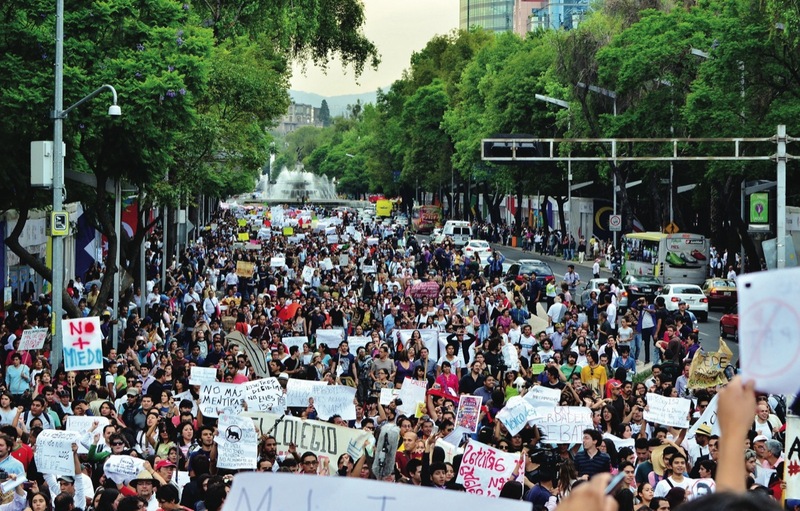 Of course, LA and el DF belong to a much greater uprising—from Tahrir Square and the indignados of Spain to the students of Chile —that echoes other, as we say in Spanish, “coyunturas” (there is no perfect translation: “juncture,” or “moment,” but a critical, maybe even historic one). The year 1968 certainly comes to mind, which just happens to be well represented by an iconic image from Mexico City’s past—Tommie Smith and John Carlos of the American Olympic team raising their fists in a Black Power salute at the Estadio Olímpico Universitario, not far from the birthplace of #YoSoy132. 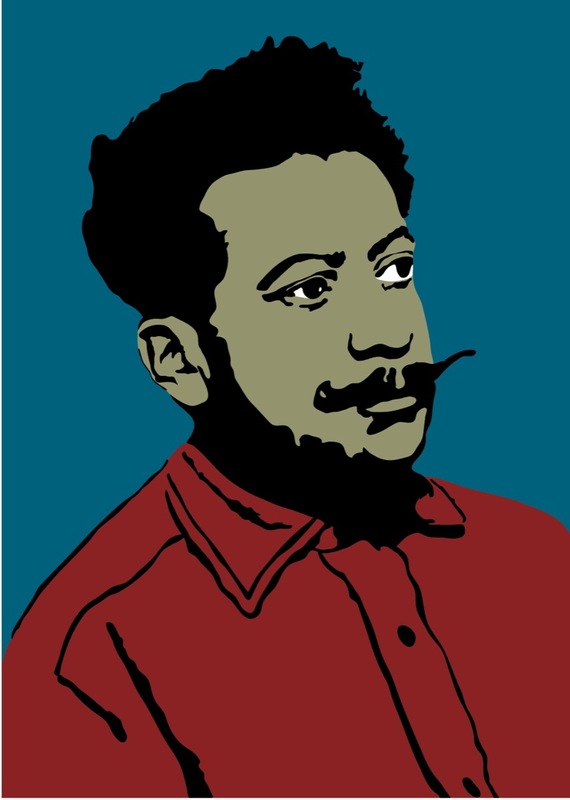 But lately I’ve been imagining another political palimpsest, which connects the LA and DF of exactly 100 years ago, through the story of Mexican revolutionary Ricardo Flores Magón. March on May 23, 2012. PHOTOGRAPH BY ANTONIO MALO MALVERDE. 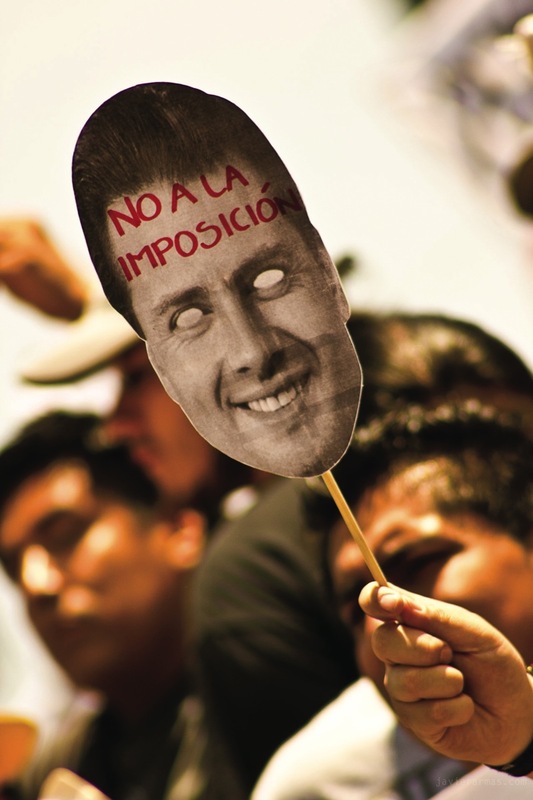 The barest outline of Magón’s story is part of institutional revolutionary memory in Mexico. Because his agitation in Mexico City predated the uprising of 1910 by several years, he is known as the “Precursor” of the Revolution. There is a boulevard named after him and a prominent grave in the Rotunda de Personas Ilustres. But even though he spent the better part of two decades in LA, there are no statues or streets bearing his likeness or name in my hometown, whose media and political elites perfected the erasure of radical history in the twentieth century. Magón’s legend in Los Angeles lives on largely in Chicano Studies and anarchist circles, where his figure wields powerful influence. You can hear Magón’s ideas in Rage Against the Machine songs, see his visage on murals in East LA, and his titles sell briskly at the annual Anarchist Bookfair. Occupy LA encampment. PHOTOGRAPH BY NEON TOMMY. Born in a largely indigenous community in Oaxaca in 1874, Magón moved to Mexico City to study and first marched against dictator Porfirio Díaz when he was just seventeen years old. He started up his own newspaper, Regeneración, intially a liberal journal that called for democratic reforms. Díaz’s forces arrested him repeatedly, and it became apparent that each term at the infamous rat and spider-infested Belem Prison only served to further radicalize him. The regime decided that it would abide no more impudence and banned Ricardo and his brother Enrique, who had joined the cause, from publishing anything at all, ever. This display of brute power shoved the Magón brothers and several of their sympathizers into exile and ultimately to Los Angeles. Poster design by Jesus Barraza. It is no coincidence that Ricardo Flores Magón wound up in the City of Angels. Even though it is over 100 miles from the US-Mexico line, during the revolution it essentially qualified as a border town, receiving hundreds of thousands of refugees, more than any other place in the American Southwest. This massive influx laid the foundation for what would become the most important and mythologized Mexican barrio in American history: East LA. There is an ideological symmetry to Magón’s arrival, as well. In the early 1900s, the city was a hotbed of radical organizing, notwithstanding its open shop reputation and the reactionary screeds of the Los Angeles Times. Emma Goldman spent several months in the city giving speeches, and socialist visionary Job Harriman nearly won the mayor’s office in 1913, eventually founding the Llano del Rio commune in the Mojave Desert, which Mike Davis famously proclaimed an “alternative future” in the opening pages of his classic City of Quartz. IMAGE COURTESY OF RUBEN MARTINEZ. 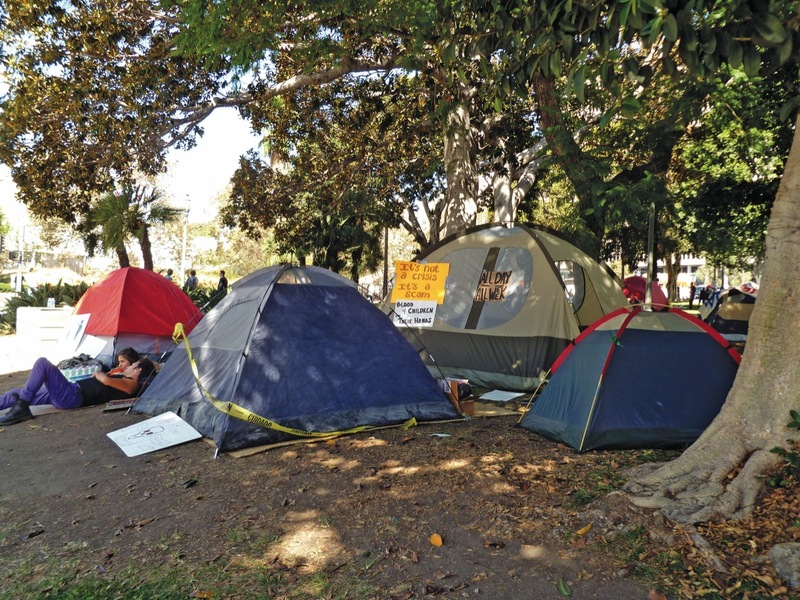 When Occupy LA was born in the late fall of 2011, Ricardo Flores Magón’s ghost hovered over the encampment. A young activist unfurled a large banner stenciled with his signature slogan “Tierra y Libertad”—Land and Liberty, which was soon taken up in Mexico by Emiliano Zapata. And the “commune” of Occupy tents recalled Magón’s own experiment in sustainable living. In between arrests and prison terms, in the LA neighborhood of Edendale, he and his closest collaborators ate what they sowed, sold surplus at market, and enacted equitable gender roles. 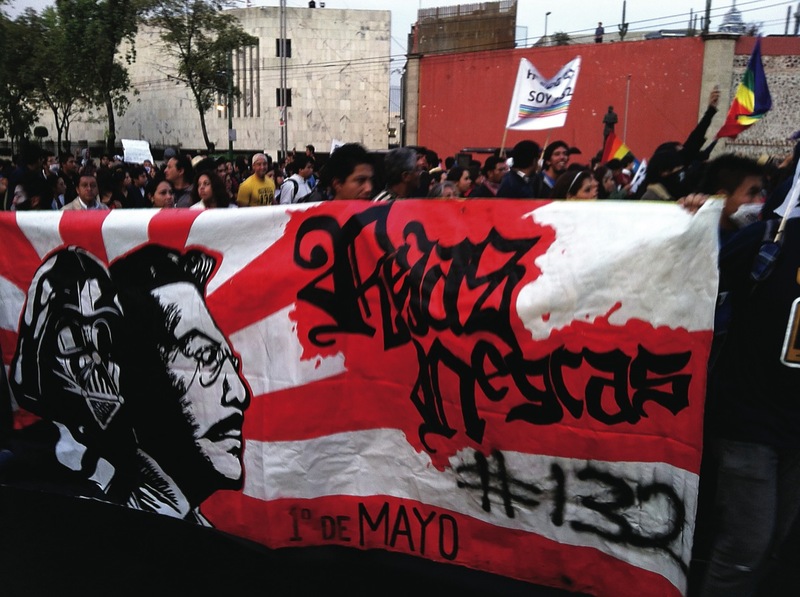 Six months after Occupy LA was evicted, my wife and I, along with our twin daughters, marched alongside the students of #YoSoy132 on the streets of Mexico City, and we saw Magón’s bespectacled face undulating on another banner. A century after his death, Magón continues his peripatetic march between my two cities. For his trans-border political activities, Magón gained the enmity of Harrison Gray Otis, the conservative publisher of the Los Angeles Times (rather the Rupert Murdoch of his day, he counted among his vast holdings upwards of a million acres of land in Baja California) and the LAPD, which arrested him several times, each conviction leading to a longer prison sentence. He died at the federal penitentiary in Leavenworth, Kansas, in 1924, and his body returned to Mexico City in a cortège that was received by tens of thousands of mourners. My two cities are intimately bound together, but traveling between them is no easy thing. There is the matter of immigration policy and border walls and the drug war and the generalized wave of crime in Mexico. Communes in both places still meet the same fate as all anarchist experiments under capitalism: they are violently dismantled by the state, or they disintegrate from within, often because of state infiltration. Am I bequeathing my daughters a quixotic passion that they’ll rebel against or embrace, only to have their generation’s dream of a continental commune crushed? I know how Magón would have answered that question.